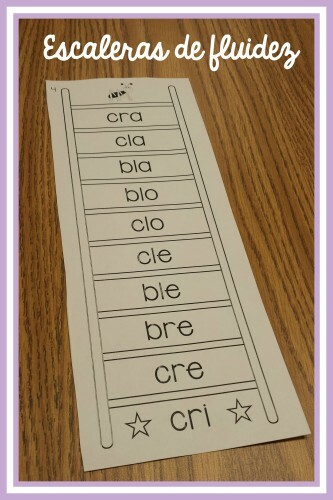 The student starts reading at the bottom of the ladder and works her way up. 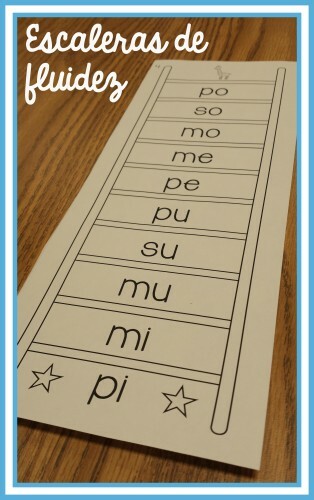 The ladders have patterns to help students see connections between syllables and words – in the ladder above, one letter in the syllable changes each time the child moves up one rung on the ladder. 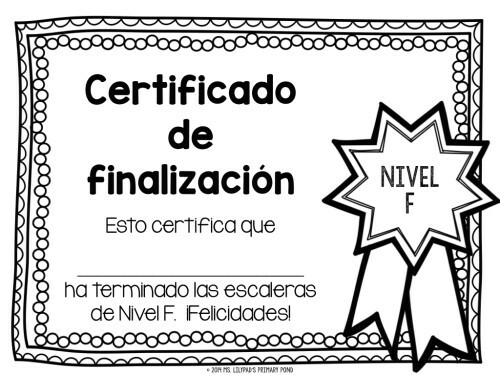 Included is a special certificate that you can give the student each time he/she completes a level. I also will be giving my boys a little prize after they complete each level. 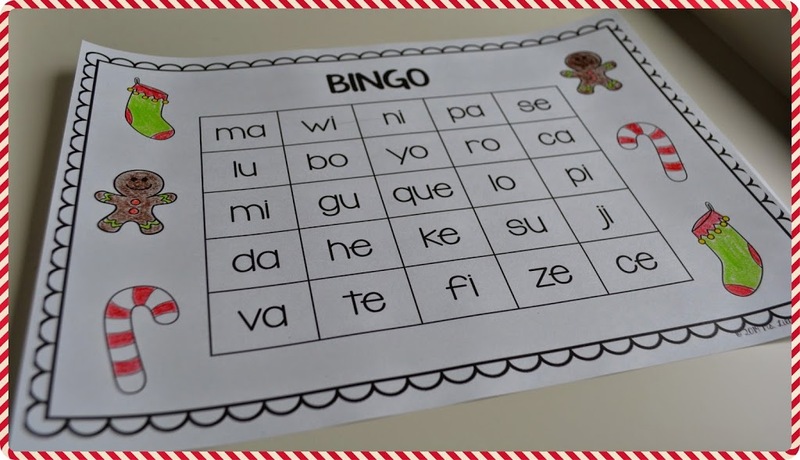 The hardest level in the series will have them reading 2- and 3-syllable words with open syllables, closed syllables, and syllables with blends. So far my boys are really loving the challenge! They like being able to see their progress on the mastery sheet. 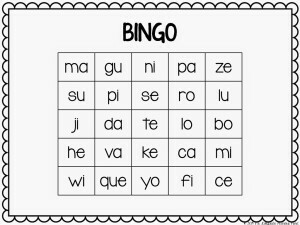 Next week, we will be playing some BINGO in small group!! 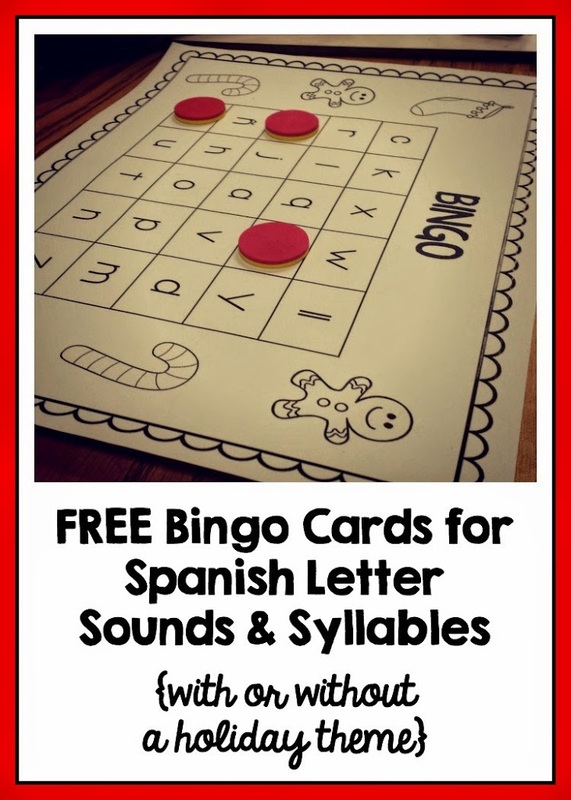 Here are BINGO sheets for Spanish letter sounds (sonidos), open syllables (sílabas abiertas), syllables with blends (sílabas trabadas), and inverse/closed syllables (sílabas inversas y cerradas). There’s 8 of each, so if you use them with the whole group instead of a small group, expect multiple winners! 🙂 You can download them for free with or without a holiday theme. Click on the pictures to download the sets. Enjoy!! For some extra fun, you can have them color the pictures! Hace tiempo vengo buscando algo estructurado que pueda ayudar a los estudiante que tienen mas dificultad. Me encantó lo que lei y vi. Gracias por tomarte el tiempo y ponerlo tan bonito. De nada, Adele! Gracias por leer! 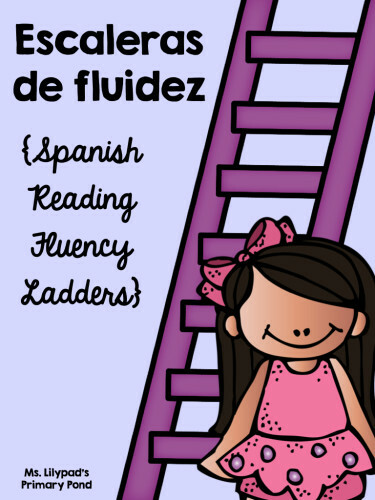 About how many seconds should it take a student to read a ladder? How can we download those bingo cards? 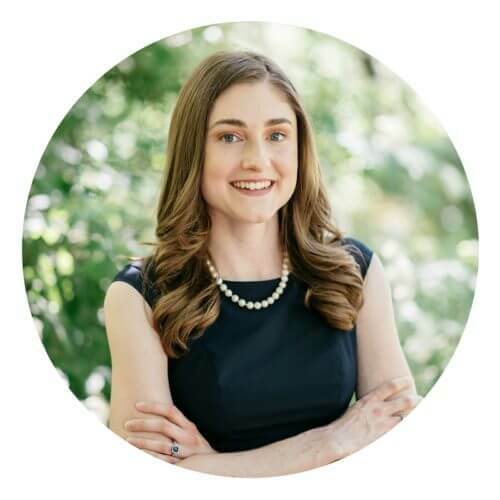 I was wondering if you had the recording assessment sheet as an editable document. I purchased the product in the past and it is really hard to write in the small spaces with my handwriting? 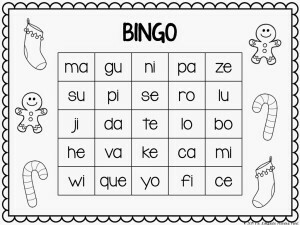 I am a bilingual teacher new to kinder in need of resources. Hola! Gracias por compartir!! una vez que haces las evaluaciones como organizas las escaleras? 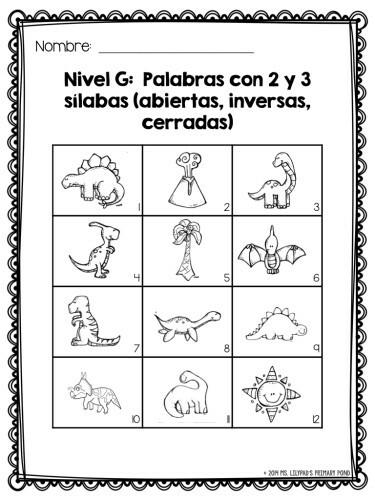 un folder por estudiante? normalmente se lo llevan a su casa o lo dejan en el salon?